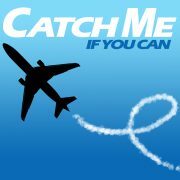 Based upon the autobiography of con artist Frank Abagnale Jr. and following the 2002 film of the same name which starred Leonardo DiCaprio, Catch Me If You Can opened on Broadway in 2011 after a try-out run in Seattle in 2009. The music and lyrics are written by Marc Shaiman and Scott Wittman – the team behind Hairspray – and the libretto by multi-award winning playwright Terrence McNally . The show was nominated for four Tony Awards and six Drama Desk awards, with Norbert Leo Butz winning the Tony for Best Performance by a Leading Actor in a Musical and the Drama Desk for Outstanding Actor in a Musical for his role as Agent Carl Hanratty. The show will be touring the US from October 2012 through to June 2013.